Here are some facts about Elizabeth Fry, the English reformer. 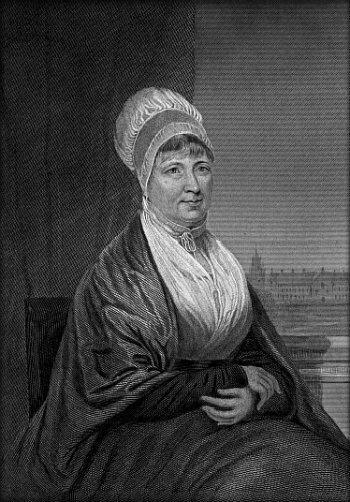 Elizabeth Fry was born on 21st May 1780 in Norwich, England. As a child she lived in Earlham Hall. Her parents were very wealthy. Her father was associated with Gurney’s Bank and her mother was related to the founders of Barclays Bank. When she was 18, Elizabeth was inspired by the American Quaker, William Savery. She began to become aware of the plight of prisoners, the poor, and the sick. Elizabeth married Joseph Fry in 1800 and they had 11 children. She visitied Newgate Prison and decided something must be done to improve the conditions for the women and children prisoners. She helped to set up the ‘Association for the Reformation of the Female Prisoners’ in Newgate, and in 1818 she gave evidence to the House of Commons. She set up the Brighton District Visiting Society. The members visited poor families to offer support and charity. In 1840 she started a nursing school. Apparently, she inspired Florence Nightingale, and some of the Fry nurses went with Florence Nightingale to help the wounded of the Crimean War. Queen Victoria was impressed by Elizabeth Fry. She met with her on several occasions and provided funding for some of her causes. Robert Peel was also a supporter of Elizabeth Fry. Elizabeth Fry died on 12th October 1845. She suffered a stroke. She is buried in Ramsgate in a private burial ground. 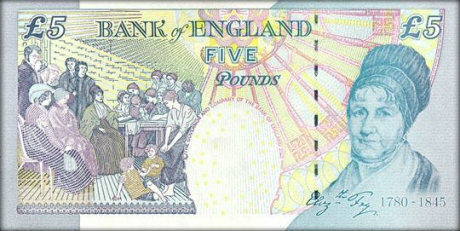 Elizabeth Fry has appeared on the back of £5 notes. What next? Discover some facts about other famous Victorians, or visit our Victorians resources page.